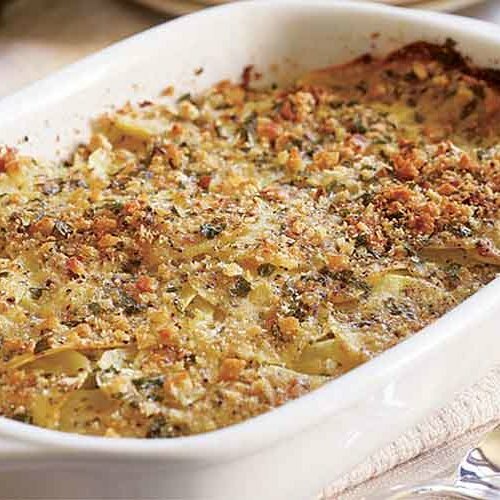 Many Italians like to end a big meal with sliced raw fennel, also known as sweet anise, convinced that this crisp vegetable aids their digestion. I can’t vouch for fennel’s medicinal properties, but like many of my fellow Italians, I love its licorice-like flavor and crunchy texture. 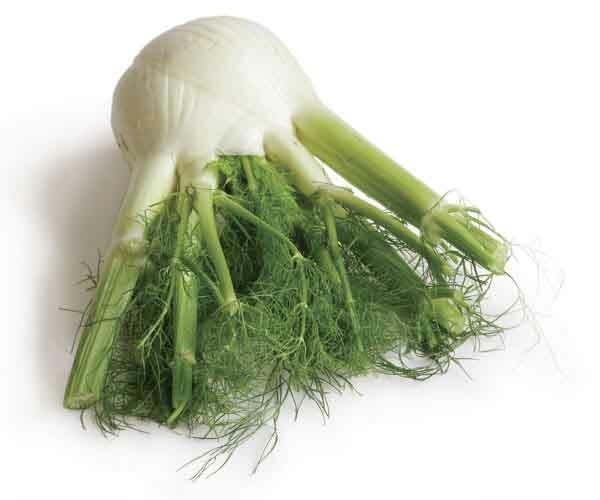 My parents, who were farmers, did not grow it when I was a child in rural Calabria—the “toe” of the Italian boot—because we lived in the hills, and fennel prefers the cool coast. Yet, I’ve eaten it enthusiastically for as long as I can remember. 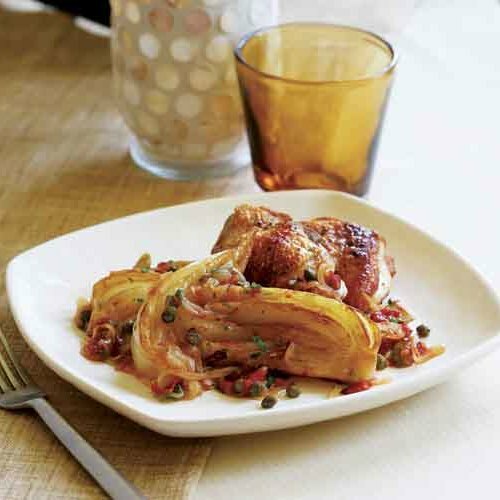 When I married a Sicilian, I learned even more ways to prepare fennel, as Sicilians are big fans. And in my current northern California home, I have access to fennel year-round, so I eat it in every possible way: raw in salads or as a simple snack, and cooked in a variety of satisfying side dishes. 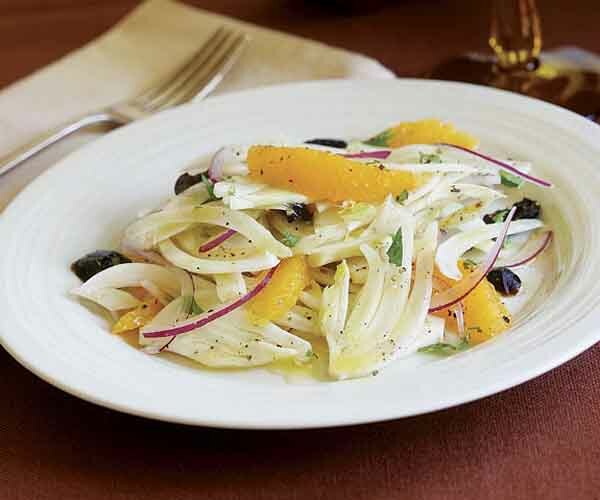 Thin slices of raw fennel give a fresh, cool crunch to green salads—I particularly like it with arugula or baby greens. 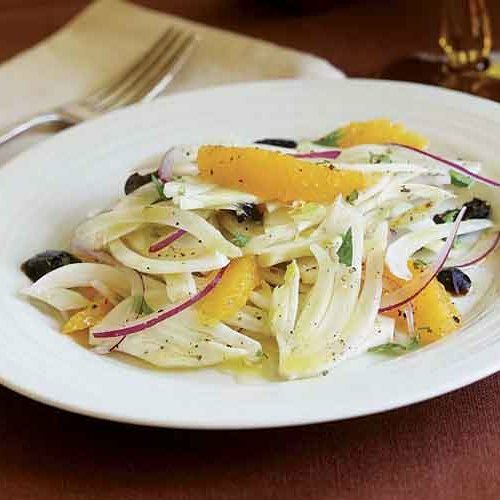 But one of my favorite winter salads combines thinly sliced fennel with juicy orange segments, red onions, and black olives. 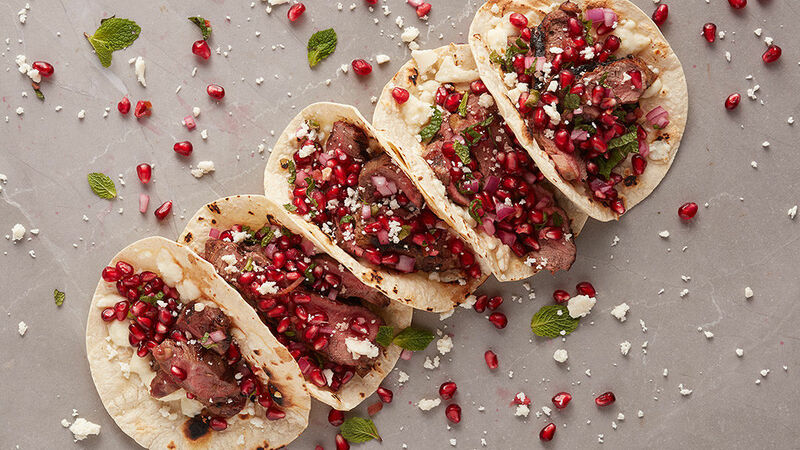 It’s light and refreshing, and I love the interplay of crisp, cool, salty, and sweet. I also like to eat strips of raw fennel as a snack, just as Americans reach for carrot or celery sticks. When using raw fennel, it’s important to slice it thinly. 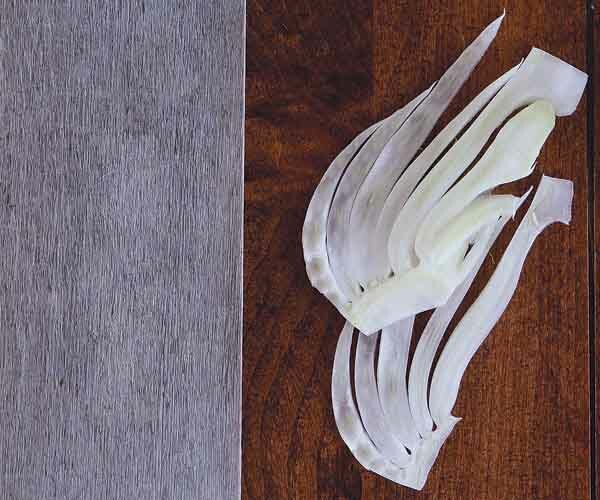 Large chunks of fennel can be fibrous, so I like to cut the bulbs lengthwise into slender slivers or crosswise into thin half moons (see directions below). Fennel will dry a bit after cutting, so if you need to cut it ahead, keep the slices wrapped in damp paper towels. The core is perfectly edible, and you can leave it if you like, but it can be a bit tough. I find that it’s best to remove most or all of it when eating fennel raw. 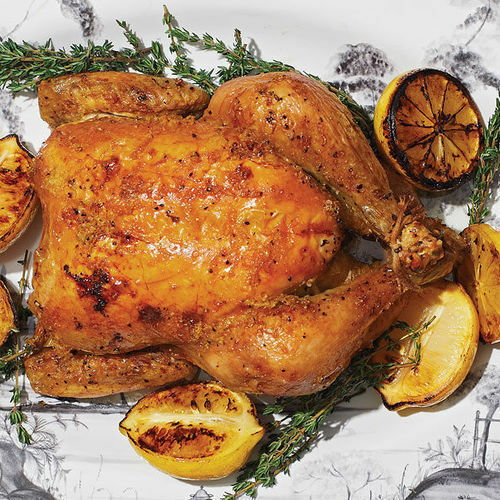 Fennel is so versatile, it lends itself to almost any cooking method. It’s delicious roasted at high temperatures, which turn the edges brown and crisp, or slowly sautéed in a bit of olive oil. 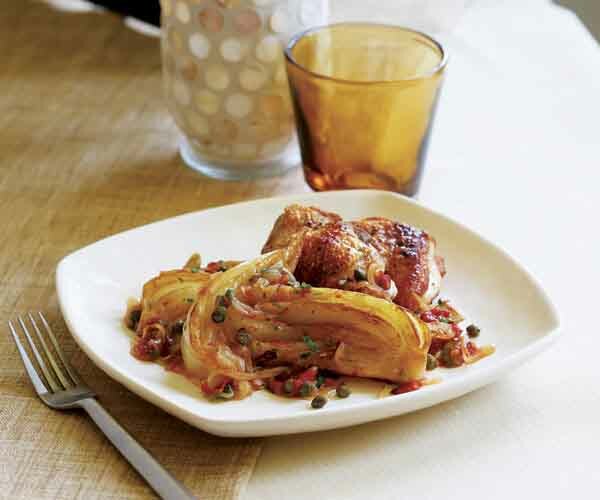 But in my opinion, few things beat braised fennel. I slowly braise thick wedges with tomatoes, olives, capers, and a little water, and the results are luxurious: smooth and creamy with a sweet, tangy flavor. 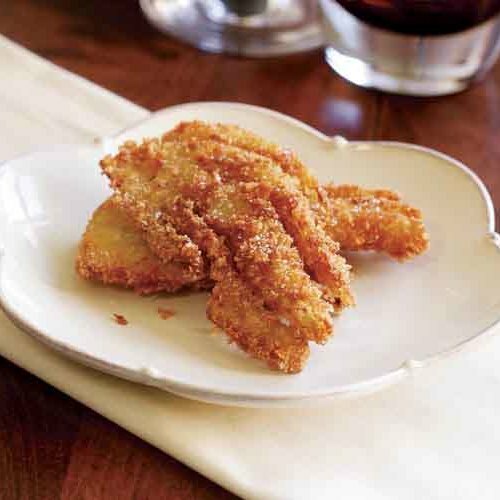 I also love the crunchy texture of pan-fried fennel slices. I parboil mine first, so they soften up a bit; then I coat them with egg and fine breadcrumbs and fry them in olive oil until the coating is crisp and golden. 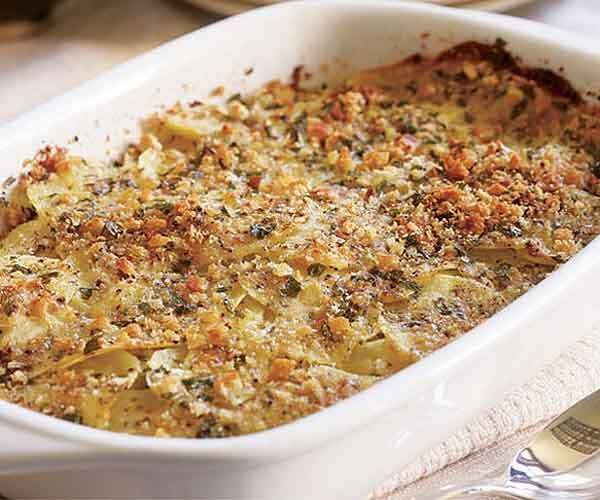 And for an Italian twist on a classic potato gratin, I layer thin slices of fennel with potato slices, breadcrumbs, and grated pecorino or Parmigiano. 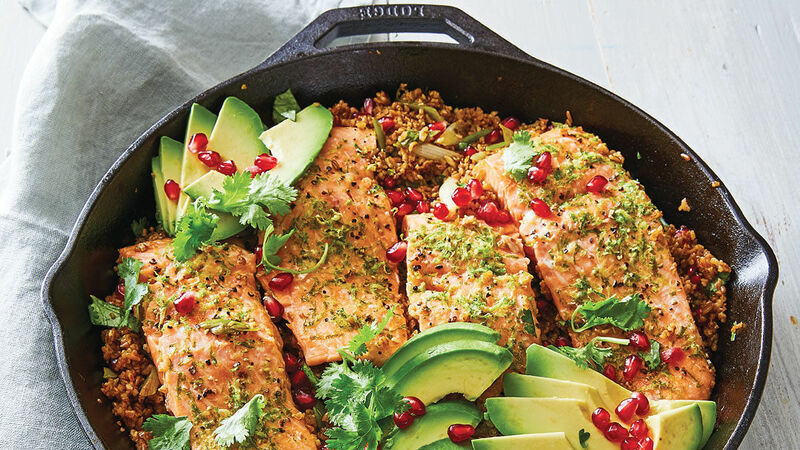 No matter what method you use, fennel that’s thoroughly cooked (be sure it has plenty of moisture or fat) becomes almost creamy, losing the crunch it has when raw but gaining in sweetness. Even the core becomes tender and mild, so I usually don’t bother removing it when I cook fennel. Besides, it helps hold the wedges together. At the market, look for large, plump, rounded bulbs. Some bulbs, depending on the variety and how they’re grown, are flat and elongated. 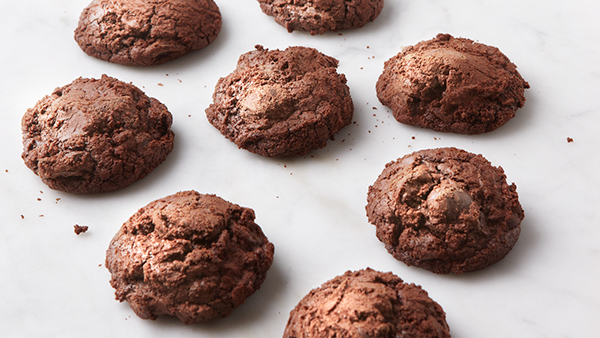 These tend to be tougher and not as sweet, so don’t buy them if you don’t have to. The bulb part should be largely white or pale green, with as few blemishes as possible. Fresh bulbs should look moist. If the outer layer of the bulb appears dry, tough, or discolored, the fennel has been out of the ground for a while and will not be at its freshest. The leafy dill-like fronds are another indication of freshness: they should be perky and upright, not limp. 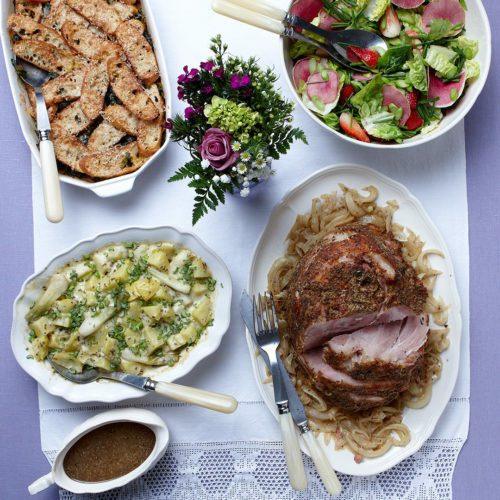 Try to use fennel within two to three days of buying. It gradually loses moisture after harvest and becomes spongy and dry. Store it loosely wrapped in the refrigerator’s crisper drawer. 1. Cut off the fennel stalks at their base, where they join the bulb. Discard the stalks and feathery fronds or use the fronds as a garnish or salad ingredient. 2. Lightly trim the base of the bulb. 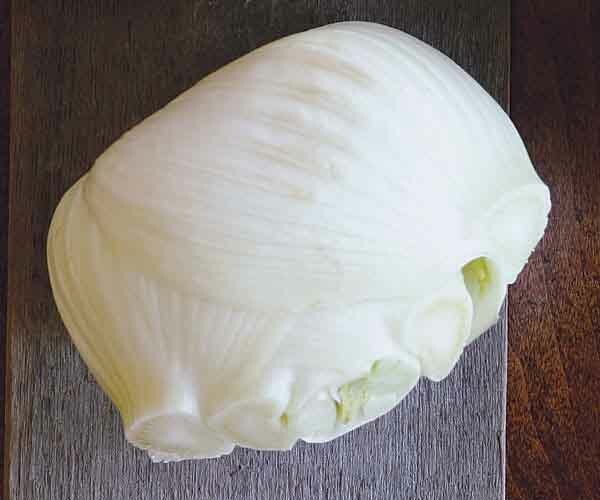 Do not remove too much of the base, or the fennel layers will not hold together when you cut the bulb into wedges. Trim away any bruised areas. If the outer layer feels tough or spongy, remove it. 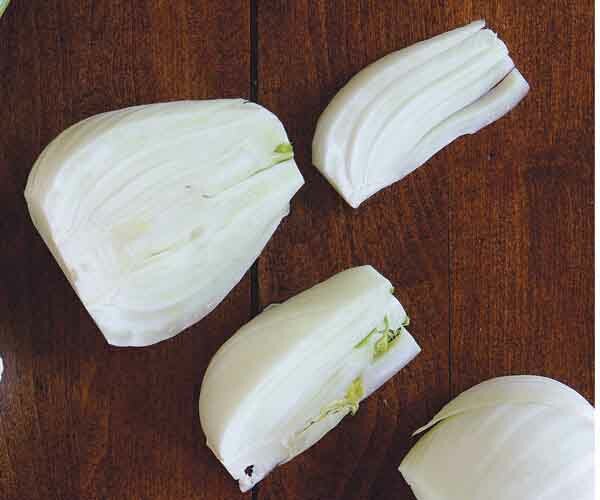 Always start by cutting trimmed fennel bulbs in half lengthwise through the core. 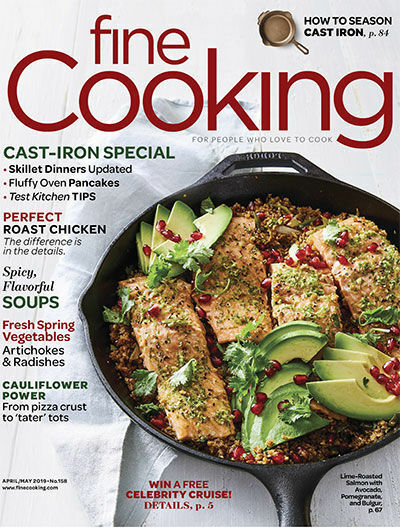 If you intend to eat the fennel raw, it’s best to remove most or all of the core, but if you’re going to cook it, you can usually leave the core intact. 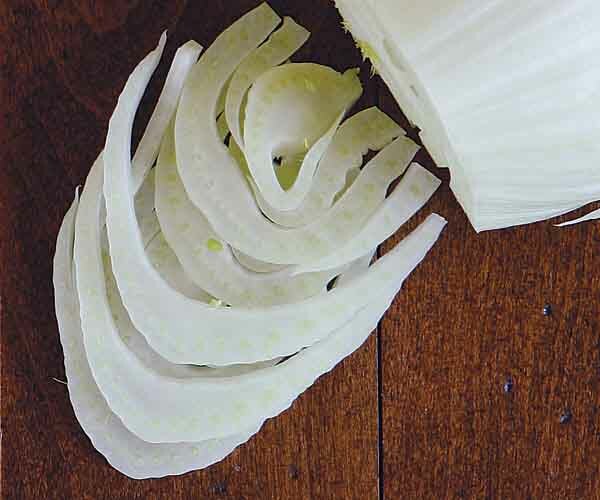 Thin slices: Cut each bulb into quarters lengthwise, remove most or all of the core, and cut each quarter lengthwise into thin slivers (if you have a mandoline, use it to make the slices paper thin). Thin half-moons: Cut each half-bulb crosswise into thin half moons, until you reach the core (discard the core). 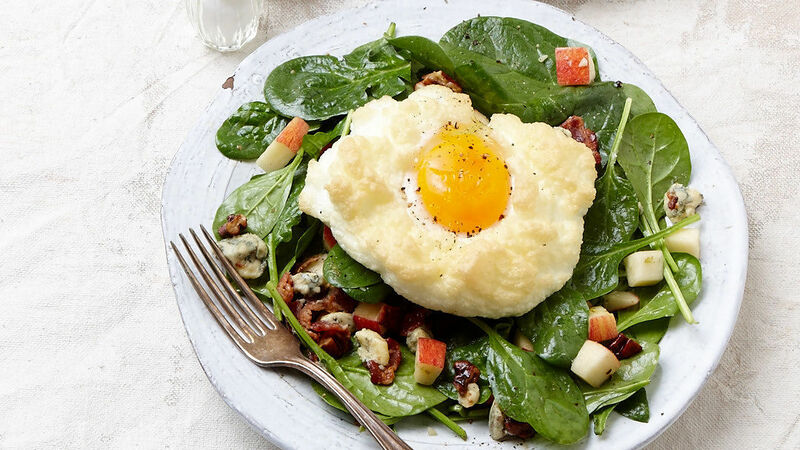 Thin slices or half-moons are great raw in salads or as a snack, or cooked in gratin-type dishes. Wedges: For large wedges, cut each half-bulb into four 1-1/2-inch-thick wedges. Thick wedges are best for braising. 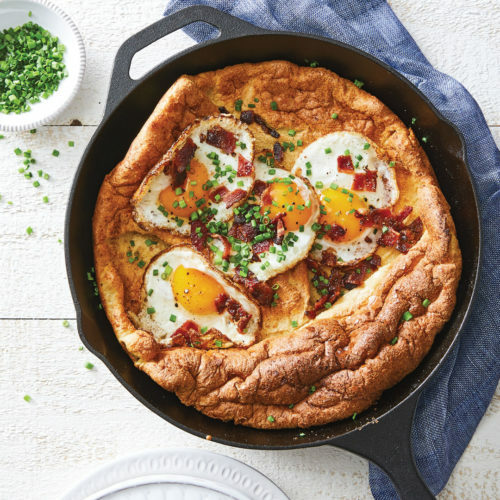 Small wedges, about 1/2-inch-wide, are ideal for pan-frying, slow sautéing, and roasting.